Max Planck Institutes will also have shared access to a set of Taylor & Francis subscription journals and can swap and add individual titles up to an agreed limit to meet reader demand. The agreement offers an increase in open access publishing options for Max Planck researchers, with Taylor & Francis’ portfolio of titles stretching across the sciences, medicine, social sciences and humanities. All corresponding authors based at a Max Planck Institute will now be eligible to have their manuscript published gold open access under a CC BY license. Individual authors will no longer be required to pay the article publishing charges usually applicable for open access publication. Payments by MPDL to support the agreement will transition over three years to directly reflect the number of Max Planck researchers publishing in Taylor & Francis Group journals. 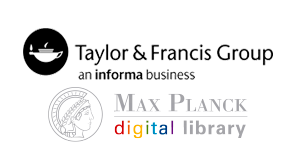 The Max Planck Digital Library has published information for their authors and researchers on their website (https://www.mpdl.mpg.de/en/2-uncategorised/407-taylorandfrancis-en.html).